In last week’s blog, we introduced you to Whodini Sisters Bloody Mary Potion, a locally made product. This week, we are featuring another fine product made here in Georgia, Verdant Kitchen. Ginger root is a picky little root. The soil conditions and climate have to be just right for the root to grow and thrive. Ginger has traditionally been imported from countries such as China, Indonesia, Brazil and Peru. Ross Harding, founder of Verdant Kitchen, grew up in Brisbane, Australia. A ginger aficionado, Harding would often visit a local ginger farm, which later piqued his interest in creating his own ginger farm. Harding became a regular visitor to Savannah when his daughter started attending SCAD. Having a head for business and a passion for science, Harding met with Howard Morrison, a Savannah businessman who lived on Lebanon Plantation, outside Savannah. Since the 1700s, Lebanon Plantation has been used for agricultural experimentation. Harding learned that the soil and climate were similar to Brisbane, which meant, theoretically, Savannah should be an ideal location for a ginger farm. He was right. In 2012, the first crop of ginger, galangal and turmeric were planted and harvested at a farm on Lebanon Plantation, and Verdant Kitchen was born. 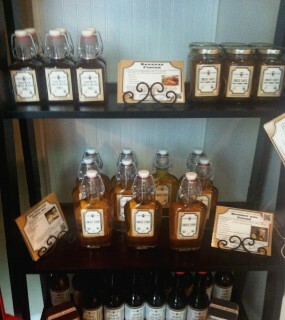 From Georgia harvested ginger root, Verdant Kitchen has created several products including ginger syrup, ginger honey, ginger tea and ale and of course, ginger snaps. Improves absorption of essential minerals into the body. 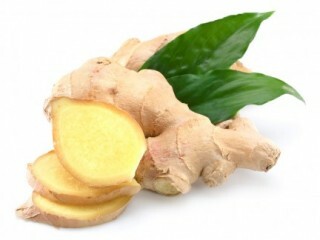 We carry a wide selection of Verdant Kitchen ginger products…. just what the doctor ordered! Eat and drink more ginger!